From England’s unreadiness for self-government to the continuing divisiveness of Bloody Sunday, here are this week’s top picks in imperial and global history. Are the English ready for self-government? The alleged aptitude of the English for self-government,” wrote Bernard Shaw in his preface to Androcles and the Lion, “is contradicted by every chapter of their history.” Shaw was, of course, parodying British imperialist rhetoric and its insistence that lesser peoples – including his own nation, the Irish – were not ready to govern themselves. He was being naughtily provocative, which only the most irresponsible of commentators would dare to be in these grave times. But there is nonetheless some tinge of truth in his words. Aptitude for self-government is not what comes to mind when one looks in from the outside at the goings-on in Westminster last week, when, as Tom Peck so brilliantly put it in the London Independent, “the House of Commons was a Benny Hill chase on acid, running through a Salvador Dali painting in a spaceship on its way to infinity”. In the early 1920s, a secret file scandalized white women reformers in the United States. It was known as the Secret Dance File, its contents too shocking (and titillating) to print or even send in the mail. As historian Margaret D. Jacobs writes, the salacious file became the centerpiece of a heated debate about whether or not Pueblo people should perform their traditional dances—a fight that illuminated the goals and tactics of the white women reformers who thought they should control Native Americans’ lives. An enslaved African man named Renty and his daughter Delia were stripped and forced to pose for images commissioned by a Swiss-born Harvard professor who espoused a theory that Africans and African-Americans were inferior to whites. Nearly 170 years later, Renty and Delia “remain enslaved” by the Ivy League university, which is being accused of the “wrongful seizure, possession and expropriation” of the photographs, according to a Massachusetts lawsuit filed by Tamara Lanier, a direct descendant demanding that Harvard turn over the images, recognize her lineage and pay unspecified damages. A former British soldier is to face trial for the murder of two unarmed civilians, and the attempted murder of two others in Derry/Londonderry on “Bloody Sunday” in January 1972. While the soldier, known as “soldier F”, will be prosecuted, the Public Prosecution Service deemed there was “insufficient evidence” to charge another 16 former soldiers for the deaths of 13 people, and two men from the official Irish Republican Army (IRA). 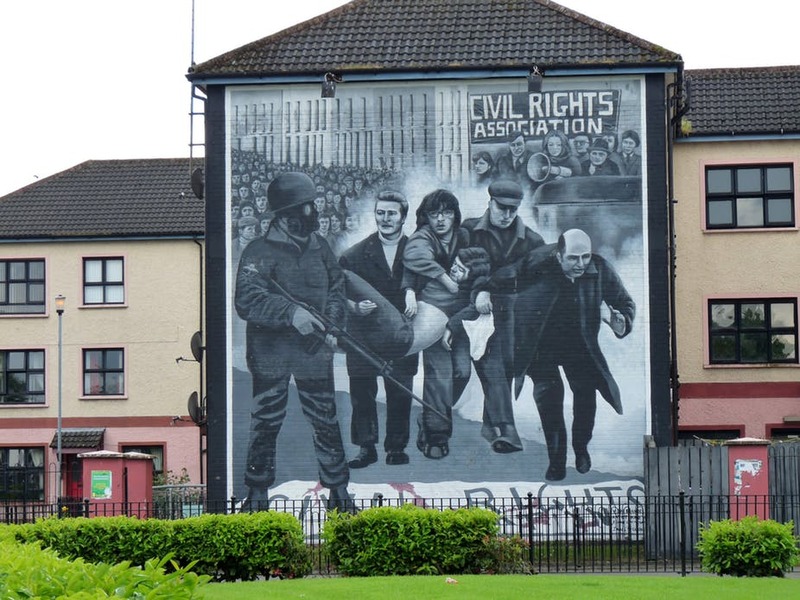 The landmark decision emphasises once more the primacy of the past in Northern Ireland and the difficulties in coming to terms with the legacy of conflict.